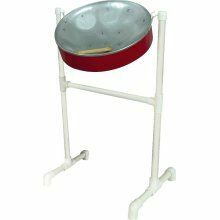 Don’t ask me to play your cocktail hour… 🙂 I got my hands on a steel drum (soprano) for a first (thanks mom!)…. and wrote this basic melody pretty much 15 seconds out of the box….what I have here is with and without vocals……steel drums – they bring one straight to the island don’t they? Honestly – they are a bit hard to record – so hopefully my technique there will improve as time goes on. If you want the vocals they are below the music player links. And as always – click the arrow to stream – and download to download. This entry was posted on Friday, August 26th, 2011 at 11:06 pm and is filed under miscellaneous. You can follow any responses to this entry through the RSS 2.0 feed. You can leave a response, or trackback from your own site.